How to drain a swamp. This is not a photo of Capitol Hill. Last week, Republican presidential nominee Donald Trump pledged to “drain the swamp in Washington D.C.,” saying in a campaign speech that he will “make our government honest once again.” How do you drain a swamp? Build trenches and canals that allow water to flow out. For most swamps, you can dig a series of trenches below the current water level, allowing gravity to do the work of propelling water down and out of the swamp. As the standing water drains away, the swamp flora and fauna will die out, and—as long as the land remains relatively dry—upland flora and fauna will replace it. Depending on how permeable the soil is, the trenches may need to include piping to help ensure the water flows out instead of permeating the soil. Sometimes, a power source might be needed to initiate the water flow. The swamp will also drain more quickly if you fill it in with dry soil as you drain. There is not a swamp on top of Capitol Hill. If there were, it would be quite simple to drain—just dig a trench and let gravity do the rest. Though modest, Capitol Hill is a notable point of elevation in an otherwise low-lying part of Washington. It rises quickly just in front of the Capitol—from 10 feet above sea level to 70 feet in less than a block before topping out around 100 feet behind the Supreme Court. When considering Capitol Hill’s location, the most practical path for a drainage trench would be straight down South Capitol Street, past Nationals Park, and into the Anacostia River. A slight modification of this route could channel the flow around the stadium to the northeast and down into the D.C. Water and Sewer Authority’s Main and O Street Pumping Stations, where the water could be collected for treatment if it were, say, toxic. Such a course would even have a historical precedent, generally following that of the old Washington City Canal, which allowed boats to cross through town between the Potomac and Anacostia in the first half of the 19th century. This canal was not swamp-related, however—contrary to popular belief, Washington was not actually built on a swamp. Some of the low-lying areas along the Potomac and Anacostia Rivers were marshy and prone to flooding, but they weren’t technically swampland—the wooded hills at the outskirts of the city are more indicative of the biome that was destroyed to make way for the metropolis. Swamp drainage is not uncommon. An estimated half of the 221 million wetland acres that once existed in the lower 48 states have been drained to make way for development or farming. Still, draining a swamp, particularly in a heavily populated area, requires permits and environmental reviews. At a minimum, the Environmental Protection Agency would require a Section 404 dredge-and-fill permit under the Clean Water Act. The National Park Service would need to complete a full environmental impact statement, as required under the National Environmental Policy Act. A Section 106 review would also be needed to identify impacts to historic structures as required by the National Historic Preservation Act. Add municipal work permits, an engineering review to ensure digging doesn’t hit the Metro’s green line running south of the Capitol, and existing capacity headaches at the Main and O Street Pumping Stations, and it would likely be years before this project could get underway. Bonus Explainer: Is draining a swamp a good idea? No. While swamps have a negative connotation, that is largely due to our misunderstanding of their ecological use. 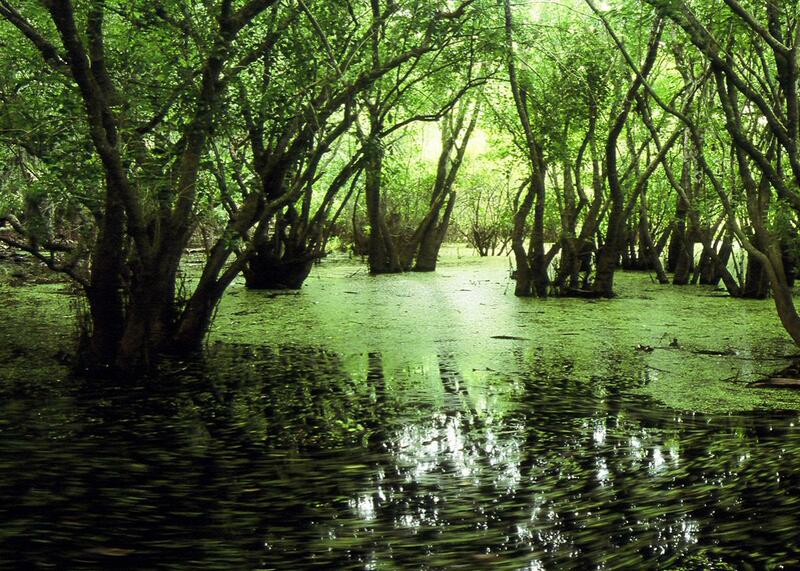 Swamps play a hugely important role in the ecosystem. They help prevent erosion, they’re able to hold excess water to help prevent flooding, they help filter out pollution, they provide fish nurseries, and they provide habitats for more than one-third of all endangered species. It wasn’t until partway through the 20th century that ecologists began to understand these benefits. Once they did, the pace of swamp drainage in the United States slowed down considerably.